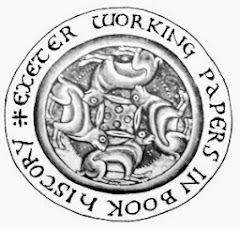 This page is one of a series of county listings which are being developed to bring together biographical information relating to localities throughout the British Isles which is currently scattered in other sections of the Exeter Working papers. They are not intended as exhaustive listings. The main sources covered are bankruptcy notices 1731-1806, apprenticeships 1710-1777 and insurance policies 1775-1787. Other information is being added and entries amalgamated as information is available. Stanley, James & Co, printer, Lancashire, 1751. Apprentice Newsham, Joseph, £10/00/00. IR/1/51, fo. 166. Stanley, James & Co, printer, Lancashire, 1753. Apprentice Hillett, Bateman, £5/00/00. [Hillett or Kellett]IR/1/19, fo. 096. Newsham, Joseph, apprentice printer, Lancashire, 1751. Apprenticed to Stanley, James & Co, £10/00/00 IR/1/51, fo. 166. Leath, John, printer, Ainsworth, Lancashire, 1781/2. Sun policy 454486, £9999, 1781/2. Walsh, Robert, printer, Ainsworth, Lancashire, 1781/2. Sun policy 454486, £9999, 1781/2. Wilson, William, printer, Ainsworth, Lancashire, 1776/7. Sun policy 376136, £9999, 1776/7. Wilson, William, printer, Ainsworth, Lancashire, 1777. Sun policy 385999, £880, 1777. Wilson, William, printer, Ainsworth, Lancashire, 1777/8. Sun policy 394883, £9999, 1777/8. Wilson, William, printer, Ainsworth, Lancashire, 1778. Sun policy 405241, £9999, 1778. Wilson, William, printer, Ainsworth, Lancashire, 1781/2. Sun policy 454486, £9999, 1781/2. Howorth, G, glazier, dealer in paper, glass &c, Bacup, Lancashire, 1811. Holden. Banister, John, bookseller, Darwen Street, Blackburn, Lancashire, 1811. Holden. Barlow, James, bookseller, stationer & binder, Blackburn, Lancashire, c.1792. UBD. Douglas, James, bookseller, North Gate, Blackburn, Lancashire, 1811. Holden. Douglas, John, stationer & binder, Blackburn, Lancashire, c.1792. UBD. Hanby, Joseph, printer, Water Street, Blackburn, Lancashire, 1811. Holden. Heaton, Henry, printer, Blackburn, Lancashire, 1779. Sun policy 422085, £500, 1779. Hemenway, Joseph, printer, Blackburn, Lancashire, c.1792. UBD. Insworth, Robert & Co., booksellers, Blackburn, Lancashire, 1784 Bailey ; 1785 Pendred. Parker, Robert, printer, bookseller & lottery agent, Darwen Street, Blackburn, Lancashire, 1811. Holden. Rogerson, Thomas, printer & agent to Hope Insurance Company, Church Street, Blackburn, Lancashire, 1811. Holden. Waterworth, Jonathan, printer, Blackburn, Lancashire, c.1792. UBD. White, Mrs., stamp vender, Clayton Street, Blackburn, Lancashire, 1811. Holden. Barlow, William, engraver, Bolton in the Moors, Lancashire, 1763. Apprentice Holme, William, £15/00/00. IR/1/57, fo. 129. Barlow, William, engraver, Bolton in the Moors, Lancashire, 1763. Apprentice Lever, James, £4/00/00. IR/1/23, fo. 200. Barlow, William, engraver, Bolton in the Moors, Lancashire, 1761. Apprentice Yates, Samuel, £15/15/00. IR/1/23, fo. 014. Holme, William, apprentice engraver, Bolton in the Moors, Lancashire, 1763. Apprenticed to Barlow, William, £15/00/00 IR/1/57, fo. 129. Lever, James, apprentice engraver, Bolton in the Moors, Lancashire, 1763. Apprenticed to Barlow, William, £4/00/00 IR/1/23, fo. 200. Yates, Samuel, apprentice engraver, Bolton in the Moors, Lancashire, 1761. Apprenticed to Barlow, William, £15/15/00 IR/1/23, fo. 014. Yates, John, engraver, Bootle, Lancashire, 1777. Sun policy 383740, £500, 1777. Andrew, John, printer, Bowker Bank, Lancashire, 1778. Sun policy 397796, £800, 1778. Dickenson, Richard, apprentice engraver, Chanton, Lancashire, 1717. Son of Mary, widow. Apprenticed to Greene, William, £5/00/00 IR/1/06, fo. 165. Greene, William, engraver, Chanton, Lancashire, 1717. Apprentice Dickenson, Richard, £5/00/00. IR/1/06, fo. 165. Broome, John, printer, Didsbury, Lancashire, 1778. Sun policy 403086, £1200, 1778. Coughtry, William, papermaker, Oaken Clough, Bleavedale, Garstang, Lancashire, 1784/5. Sun policy 501821, £100, 1784/5. Worthington, Roger, printer, Garratt, near Manchester, Lancashire, 1781. Sun policy 439781, £1800, 1781. Worthington, Roger, printer, Garratt, near Manchester, Lancashire, 1778. Sun policy 401166, £300, 1778. Crompton, Elis, papermaker, Great Lever, Lancashire, 1765. Apprentice Skerton, Paul, £15/00/00. IR/1/25, fo. 141. Skerton, Paul, apprentice papermaker, Great Lever, Lancashire, 1765. Apprenticed to Crompton, Elis, £15/00/00 IR/1/25, fo. 141. Greatrix, Benjamin, printer, Holme, near Manchester, Lancashire, 1786/7. Sun policy 524303, £5400, 1786/7. Greatrix, Samuel, printer, Holme, near Manchester, Lancashire, 1786/7. Sun policy 524303, £5400, 1786/7. Busher, Ambrose, printer, stationer, Lancaster, Lancashire, 1786/7. Royal Exchange policy 100786, £800, 1786/7. Parker, Richard, bookseller, Lancaster, Lancashire, 1777/8. Royal Exchange policy 73397, £550, 1777/8. Walmsley, Henry, bookseller, stationer, Lancaster, Lancashire, 1778/9-1785/5. Royal Exchange policy 75465, £700, 1778/9, Royal Exchange policy 92446, £700, 1784/5. Smith, Thomas, papermaker, Tildesley, Leigh, Lancashire, 1783. Sun policy 481772, £2900, 1783. Barton, Thomas, engraver, Little Woolton, Lancashire, 1722. Apprentice Park, John, £20/00/00. IR/1/47, fo. 209. Barton, Thomas, engraver, Little Woolton, Lancashire, 1719. Apprentice Yates, Henry, £25/00/00. IR/1/56, fo. 082. Park, John, apprentice engraver, Little Woolton, Lancashire, 1722. Son of Ellen of Liverpool LAN. Apprenticed to Barton, Thomas, £20/00/00 IR/1/47, fo. 209. Yates, Henry, apprentice engraver, Little Woolton, Lancashire, 1719. Son of Thomas of Tarbock LAN. Apprenticed to Barton, Thomas, £25/00/00 IR/1/56, fo. 082. Allcock, Edward, printer, Liverpool, Lancashire, 1757. Apprentice Haselwood, Francis, £30/00/00. IR/1/53, fo. 028. Billinge, Thomas, engraver, Liverpool, Lancashire, 1770. Apprentice Wheatcroft, Thomas, £24/00/00. IR/1/57, fo. 127. Cowburn, Thomas, apprentice printer, Liverpool, Lancashire, 1760. Apprenticed to Sadler, John, £20/00/00 IR/1/54, fo. 073. Crane, Samuel, bookseller, stationer, Liverpool, Lancashire, 1779. Sun policy 409295, £700, 1779. Gerrard, Samuel, engraver, Liverpool, Lancashire, 1717. Apprentice Mercer, William, £12/00/00. IR/1/45, fo. 075. Gore, John, Liverpool, bookseller and stationer, dividend declared for 19 Oct 1780 LG 23 Sep 1780. Source: Berch. Haselwood, Francis, apprentice printer, Liverpool, Lancashire, 1757. Apprenticed to Allcock, Edward, £30/00/00 IR/1/53, fo. 028. Hodgson, Henry, stationer, Liverpool, Lancashire, 1785/6. Royal Exchange policy 93837, £600, 1785/6. Joynson, Peter, apprentice stationer, Liverpool, Lancashire, 1751. Apprenticed to Williamson, Robert, £50/00/00 IR/1/51, fo. 165. Kitchen, Robert, printer*, Liverpool, Lancashire, 1781. Sun policy 451009, £1000, 1781. Mercer, William, apprentice engraver, Liverpool, Lancashire, 1717. Son of Thomas, dec. Apprenticed to Gerrard, Samuel, £12/00/00 IR/1/45, fo. 075. Morgan, Samuel, apprentice bookseller, Liverpool, Lancashire, 1759. Apprenticed to Williamson, Robert, £40/00/00 IR/1/24, fo. 058. Parkinson, George, apprentice bookbinder, Liverpool, Lancashire, 1769. Apprenticed to Wright, Peter, £12/12/00 IR/1/59, fo. 126. Sadler, John, printer, Liverpool, Lancashire, 1760. Apprentice Cowburn, Thomas, £20/00/00. IR/1/54, fo. 073. West, Charles, Liverpool, printer, to surrender 1 Feb, 3 Mar at one o'clock at the Clarendon Rooms, Liverpool LG 19 Jan 1839. Source: Berch. Wheatcroft, Thomas, apprentice engraver, Liverpool, Lancashire, 1770. Apprenticed to Billinge, Thomas, £24/00/00 IR/1/57, fo. 127. Williamson, Alice, printer, stationer, Liverpool, Lancashire, 1778. Sun policy 397398, £1000, 1778. Williamson, Robert, bookseller, Liverpool, Lancashire, 1759. Apprentice Morgan, Samuel, £40/00/00. IR/1/24, fo. 058. Williamson, Robert, stationer, Liverpool, Lancashire, 1751. Apprentice Joynson, Peter, £50/00/00. IR/1/51, fo. 165. Wright, Peter, bookbinder, Liverpool, Lancashire, 1769. Apprentice Parkinson, George, £12/12/00. IR/1/59, fo. 126. Adams, Roger, printer, Manchester, Lancashire, 1720. Apprentice Chapman, John, £20/00/00. IR/1/46, fo. 147. Adams, Roger, printer, Manchester, Lancashire, 1723. Apprentice Warburton, Robert, £10/00/00. IR/1/48, fo. 073. Anderton, Thomas, bookseller, Manchester, Lancashire, 1763. Apprentice Rylance, Thomas, £50/00/00. IR/1/55, fo. 004. Anderton, Thomas, Manchester, Lancs, bookseller. To surrender 18, 19 Apr, 5 May at house of John Dutton, known as the Old Coffee-house LG 24 Mar 1764. In the commission of bankruptcy of Thomas Anderton, Lacy Hawes, bookseller, of Paternoster Row and James Massey of Salford, Lancs chosen assignees LG 28 Apr 1764. Final dividend to be made 16 Apr 1765 at the house of John Dutton known by the name of the Old Coffee-house in Manchester LG 12 Mar 1765Source: Berch. Booth, George, apprentice, Manchester, Lancashire, 1765. Apprenticed to Harrop, Joseph, £15/00/00 IR/1/24, fo. 136. Bottomley, James, engraver, Manchester, Lancashire, 1767. Apprentice Bretland, Joel, £8/00/00. IR/1/25, fo. 061. Bretland, Joel, apprentice engraver, Manchester, Lancashire, 1767. Apprenticed to Bottomley, James, £8/00/00 IR/1/25, fo. 061. Broome, John, printer, Long Millgate, Manchester, Lancashire, 1778. Sun policy 403086, £1200, 1778. Broome, John, printer, Manchester, Lancashire, 1781. Sun policy 452642, £1700, 1781. Brown, Thomas, bookbinder, Manchester, Lancashire, 1729. Apprentice Ridge, Robert, £7/00/00. IR/1/49, fo. 128. Chapman, John, apprentice printer, Manchester, Lancashire, 1720. Apprenticed to Adams, Roger, £20/00/00 IR/1/46, fo. 147. Clare, Peter, engraver, Manchester, Lancashire, 1767. Apprentice Maddock, James, £10/00/00. IR/1/25, fo. 062. Collins, Peter, apprentice bookbinder, Manchester, Lancashire, 1769. Apprenticed to Lee, Robert, £5/00/00 IR/1/26, fo. 089. Cordingly, William, apprentice printer, Manchester, Lancashire, 1746. Son of Sarah. Apprenticed to Whitworth, Robert, £30/00/00 IR/1/17, fo. 198. Crossly, John, WC, Manchester, Lancashire, 1775. Apprentice Weatherhogg, Charles, £12/12/00. [print cutter]IR/1/59, fo. 127. Davenport, Thomas, bookbinder, Manchester, Lancashire, 1778/9. Royal Exchange policy 75008, £500, 1778/9. Dewhurst, T., of Manchester, printseller, dividend declared for 10 Aug 1838 LG 17 Jul 1838. Source: Berch. Falkner, Samuel, bookseller, stationer, Manchester, Lancashire, 1784/5. Royal Exchange policy 90599, £200, 1784/5. Harrop, Joseph, , Manchester, Lancashire, 1762. Apprentice Wheeler, Charles, £10/00/00. IR/1/23, fo. 127. Harrop, Joseph, , Manchester, Lancashire, 1765. Apprentice Booth, George, £15/00/00. IR/1/24, fo. 136. Haslington, J., Manchester, bookseller. Dividend declared for 17 Jan 1798. LG 26 Dec 1797. Source: Berch. Lee, Robert, bookbinder, Manchester, Lancashire, 1769. Apprentice Collins, Peter, £5/00/00. IR/1/26, fo. 089. Lee, Robert, bookbinder, Manchester, Lancashire, 1775. Apprentice Unsworth, Edward, £6/00/00. IR/1/28, fo. 182. Lightbourne, Thomas, late of Manchester, Lancs, engraver, listed as an insolvent debtor and jailed at the Castle of Lancaster LG 11 Jun 1748. Source: Berch. Maddock, James, apprentice engraver, Manchester, Lancashire, 1767. Apprenticed to Clare, Peter, £10/00/00 IR/1/25, fo. 062. Moss, Isaac, LB, Manchester, Lancashire, 1778. Sun policy 405243, £300, 1778. Prescott, John, printer, stationer, bookbinder, Manchester, Lancashire, 1778. Sun policy 401172, £1000, 1778. Prescott, John, printer, stationer, bookbinder, Manchester, Lancashire, 1779/80. Sun policy 425443, £400, 1779/80. Prescott, John, printer, stationer, bookbinder, nr Market Place, Manchester, Lancashire, 1777. Sun policy 383386, £800, 1777. Prescott, John, printer, stationer, bookbinder, Manchester, Lancashire, 1779/80. Sun policy 425444, £700, 1779/80. Rider, John, printer, Long Millgate, Manchester, Lancashire, 1778. Sun policy 401171, £1200, 1778. Ridge, Robert, apprentice bookbinder, Manchester, Lancashire, 1729. Son of Mary of Stockport CHE, widow. Apprenticed to Brown, Thomas, £7/00/00 IR/1/49, fo. 128. Rylance, Thomas, apprentice bookseller, Manchester, Lancashire, 1763. Apprenticed to Anderton, Thomas, £50/00/00 IR/1/55, fo. 004. Slack, Abraham, printer, Manchester, Lancashire, 1775/7. Royal Exchange policy 66638, £1500, 1775/7. Taylor, Charles, printer, Manchester, Lancashire, 1786. Sun policy 516695, £1500, 1786. Taylor, Charles, printer, Manchester, Lancashire, 1777. Sun policy 381956, £1500, 1777. Taylor, Charles, printer, Manchester, Lancashire, 1785. Sun policy 503585, £1300, 1785. Unsworth, Edward, apprentice bookbinder, Manchester, Lancashire, 1775. Apprenticed to Lee, Robert, £6/00/00 IR/1/28, fo. 182. Warburton, Robert, apprentice printer, Manchester, Lancashire, 1723. Son of George, dec. Apprenticed to Adams, Roger, £10/00/00 IR/1/48, fo. 073. Weatherhogg, Charles, apprentice WC, Manchester, Lancashire, 1775. Apprenticed to Crossly, John, £12/12/00. [print cutter] IR/1/59, fo. 127. Wheeler, Charles, apprentice, Manchester, Lancashire, 1762. Apprenticed to Harrop, Joseph, £10/00/00 IR/1/23, fo. 127. Wheeler, Charles, printer, Manchester, Lancashire, 1779/81. Royal Exchange policy 80069, £300, 1779/81. Whitaker, Henry, LB, Manchester, Lancashire, 1778. Sun policy 405243, £300, 1778. Whitworth, Robert, printer, Manchester, Lancashire, 1746. Apprentice Cordingly, William, £30/00/00. IR/1/17, fo. 198. Whitworth, Robert. If James, son of the alte Abraham Buckley, of Whitfield in Crompton, in the county of Lancaster, currier, will apply to Robert Whitworth, of Manchester, in the same county, bookseller and printer, he may hear something to his advantage ... LG 1 Jul 1749. Source: Berch. Withington, Thomas, printer, Manchester, Lancashire, 1785/6. Sun policy 513320, £2450, 1785/6. Withington, Thomas, printer, Manchester, Lancashire, 1786/7. Sun policy 526468, £4070, 1786/7. , apprentice bookseller, Preston, Lancashire, . Apprenticed to Stewart, William. [see William Stuart]. Barrow, Robert, apprentice stationer, Preston, Lancashire, 1754. Apprenticed to Stuart, William, £6/00/00 IR/1/52, fo. 026. Belshar, James, apprentice bookseller, Preston, Lancashire, 1756. Apprenticed to Stuart, William, £40/00/00 IR/1/52, fo. 202. Calver, Nathaniel, bookbinder, Preston, Lancashire, 1754. Apprentice Haslington, John, £26/00/00. IR/1/52, fo. 025. Eyres, Thomas, bookbinder, Prescott, Lancashire, 1765. Apprentice Taylor, Thomas, £2/10/00. IR/1/24, fo. 126. Harrison, Robert, apprentice printer, Preston, Lancashire, 1771. Apprenticed to Stuart, William, £10/00/00. [PR & BS] IR/1/57, fo. 212. Haslingden, John, bookbinder, Preston, Lancashire, 1764. Apprentice Oddie, John, £26/05/00. IR/1/24, fo. 047. Haslington, John, apprentice bookbinder, Preston, Lancashire, 1754. Apprenticed to Calver, Nathaniel, £26/00/00 IR/1/52, fo. 025. Oddie, John, apprentice bookbinder, Preston, Lancashire, 1764. Apprenticed to Haslingden, John, £26/05/00 IR/1/24, fo. 047. Sergent, Elizabeth, printer, stationer, Preston, Lancashire, 1785/6. Sun policy 513322, £1100, 1785/6. Smith, Edward, bookseller, Preston, Lancashire, 1743. Apprentice Watson, George, £10/00/00. IR/1/50, fo. 302. Smith, William, Preston, Lancs., stationer and bookseller to surrender 25, 26 Nov, 16 Dec 1746 at the house of James Heydock, innkeeper, being the Sign of the White Bull, Preston LG 4 Nov 1746. Dividend declared for 7 May 1747 LG 4 Apr 1747. Dividend declared for 25 Apr 1750 LG 10 Mar 1750.Source: Berch. Stewart, William, bookseller, Preston, Lancashire, . Apprentice . [see William Stuart]. Stuart, William, bookseller, Preston, Lancashire, 1756. Apprentice Belshar, James, £40/00/00. IR/1/52, fo. 202. Stuart, William, bookseller, Preston, Lancashire, 1764. Apprentice Walton, Richard, £50/00/00. IR/1/55, fo. 073. Stuart, William, late of Preston in Lancs., bookseller & stationer, bankruptcy enlarged to 25 Aug 1778 LG 20 Jun 1778. Dividend declared for 10 Mar 1780 William Stuart ... surviving partner of Richard Walton, late of Preston aforesaid, bookseller and stationer LG 29 Jan 1780. Source: Berch. Stuart, William, printer, Preston, Lancashire, 1771. Apprentice Harrison, Robert, £10/00/00. [PR & BS]IR/1/57, fo. 212. Stuart, William, stationer, Preston, Lancashire, 1754. Apprentice Barrow, Robert, £6/00/00. IR/1/52, fo. 026. Taylor, Thomas, apprentice bookbinder, Prescott, Lancashire, 1765. Apprenticed to Eyres, Thomas, £2/10/00 IR/1/24, fo. 126. Thorp, John, printer, Ileams, Prestwich, Lancashire, 1777. Sun policy 380925, £2200, 1777. Walton, Richard, apprentice bookseller, Preston, Lancashire, 1764. Apprenticed to Stuart, William, £50/00/00 IR/1/55, fo. 073. Walton, Richard, Dividend declared for 10 Mar 1780 William Stuart ... surviving partner of Richard Walton, late of Preston aforesaid, bookseller and stationer LG 29 Jan 1780. Source: Berch. Watson, George, apprentice bookseller, Preston, Lancashire, 1743. Apprenticed to Smith, Edward, £10/00/00 IR/1/50, fo. 302. Scholefield, Robert, stationer, Rochdale, Lancashire, 1713. Apprentice Turner, John, £26/00/00. [Ratchdale]IR/1/42, fo. 181. Turner, John, apprentice stationer, Rochdale, Lancashire, 1713. Son of Edmund of Little Howerith/Hungersfield, yeoman. Apprenticed to Scholefield, Robert, £26/00/00. [Ratchdale] IR/1/42, fo. 181. Connolley, J., Partnership dissolved between H.Hargreaves, J. Connolley and R. Pearson, Salford, Lancs, printers LG 3 Aug 1838. Source: Berch. Hargreaves, H., Partnership dissolved between H.Hargreaves, J. Connolley and R. Pearson, Salford, Lancs, printers LG 3 Aug 1838. Source: Berch. Pearson, R., Partnership dissolved between H.Hargreaves, J. Connolley and R. Pearson, Salford, Lancs, printers LG 3 Aug 1838. Source: Berch. Hillett, Bateman, apprentice printer, Lancashire, 1753. Apprenticed to Stanley, James & Co, £5/00/00. [Hillett or Kellett] IR/1/19, fo. 096. Appleton, James, papermaker, Smedley near Manchester, Lancashire, 1786. Sun policy 516370, £3700, 1786. Appleton, James, papermaker, Smedley near Manchester, Lancashire, 1781. Sun policy 442665, £3000, 1781. Appleton, James, papermaker, Smedley near Manchester, Lancashire, 1783. Sun policy 477721, £3000, 1783. Bury, Richard, printer, Tinton, Lancashire, 1780. Sun policy 428884, £1400, 1780. Ashton, William, printer, bookseller, Warrington, Lancashire, 1782. Sun policy 459997, £200, 1782. Astley, Samuel, apprentice bookseller, Warrington, Lancashire, 1775. Apprenticed to Banks, Thomas, £42/00/00 IR/1/59, fo. 128. Banks, Thomas, bookseller, Warrington, Lancashire, 1775. Apprentice Astley, Samuel, £42/00/00. IR/1/59, fo. 128. Banks, Thomas, stationer, Warrington, Lancashire, 1765. Apprentice Massey, Richard, £40/00/00. IR/1/56, fo. 114. Massey, Richard, apprentice stationer, Warrington, Lancashire, 1765. Apprenticed to Banks, Thomas, £40/00/00 IR/1/56, fo. 114. Knutsford, Stephen, engraver, Wavertree, Lancashire, 1754. Apprentice Yates, Henry, £10/00/00. IR/1/52, fo. 030. Yates, Henry, apprentice engraver, Wavertree, Lancashire, 1754. Apprenticed to Knutsford, Stephen, £10/00/00 IR/1/52, fo. 030. Banks, Thomas, apprentice stationer, Wigan, Lancashire, 1757. Apprenticed to Finch, William, £28/00/00 IR/1/53, fo. 026. Finch, William, stationer, Wigan, Lancashire, 1757. Apprentice Banks, Thomas, £28/00/00. IR/1/53, fo. 026. Ingle, Timothy, papermaker, Worsley, Lancashire, 1783. Sun policy 481772, £2900, 1783.